OUR REVIEWS All of our reviews are taken directly from our Auto Trader page, head over there if you can't believe your eyes! We’d like to take a moment to welcome you to Detail Autos. We recently opened at 1 Langley Road, Staines and we’re happy to welcome our customers to our showroom. We have a few selected cars available in the showroom at the moment, but pop in or make a call to discuss your requirements and see how Detail Autos can help you. From small Ford Ka for the first time buyers, through great family Vauxhall Zafira, to luxurious Jaguar.. there is a car for everyone. We want to ensure that we get the best cars at the best prices and when you pick the car up, it feels not just like a new car to you, but a new car! We have cars for every budget, we'll be adding new cars every week and generally we only show a limited amount of what's available. See our great reviews from all of our great customers. We aim to make the motor trade what it should be, a great experience! 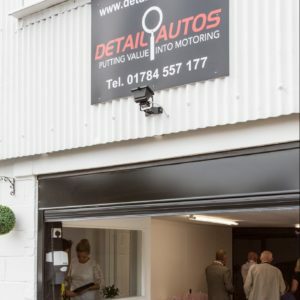 WELCOME TO DETAIL AUTOS We pride ourselves on quality secondhand cars that you will drive away with a new car feel. Our prices range from a simple low-cost runabout to much higher end vehicles that will leave you the envy of everyone. Our quality of detailing on the cars is second to none and even though the car you purchase isn't brand new, with the quality of finish we provide it will definitely feel new to you.